Beauty and luxury sure aren’t only for those in their twenties or thirties! Oh no! We are going to show you how to have the most beautifying and pampering night of your life! You will feel refreshed and revived, ready to take on the world. The menopause can often cause you problems when it comes to your hair and skin in the form of dryness and pigmentation both of which can leave you feeling anything but fabulous. We have devised for you a few beautiful homemade and natural remedies combined with some of our favourite products to give you the ultimate pamper night in while tackling your menopausal skin! Cleansing your skin is important in order to remove bacteria and impurities. Phytomone Skin Exhaustion Cleansing Oil is a natural and nutrient-dense oil packs a hard punch against the effects of the menopause and will also condition and pamper your eyelashes while gently removing all traces of your eye make-up and mascara. It is a super-luxurious way to cleanse your skin and is a beauty treatment in itself! Because this vitamin rich oil is a natural beauty elixir, the best thing do to for your next beauty treatment is to keep it natural again… so we hope you’re ready for your next treatment ladies! 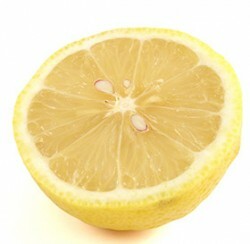 Grab a mixing bowl and simply squeeze the pure lemon juice from the lemon, add the yoghurt and mix the ingredients well. Now add your honey and Argan oil and continue to mix really well together. Generously apply to your face after you have cleansed it. Massage in a circular motion for a few minutes and then sit back and relax for about 15 minutes so it can work its magic. Wash off, pat dry and enjoy your beautifully soft skin. Whisk all the ingredients together until you have a smooth mixture. Comb through your damp hair until you have used up all the mixture and rub into your scalp too. Leave on the mixture for about 30 minutes and then wash off. The end result will leave your hair feeling soft, subtle and completely moisture infused! And there you have it, instead of the menopause causing you annoyance and problems let it be an excuse to pamper yourself and indulge in some seriously luxurious home beauty remedies! Be the best version of you that you can be.